Bring a taste of the Orient direct to your door from Tipperary with our convenient, economical premium stir fry steak. 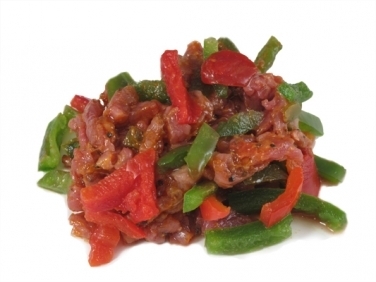 Our best quality cuts are sliced into thin strips of steak, lightly spiced in Oriental herbs and spices and combined with a mix of bell peppers and courgettes, ready for your wok or fry pan. This is the complete Stir Fry solution. These tender strips need no more than a few moments cooking to produce a fast and tasty evening meal.